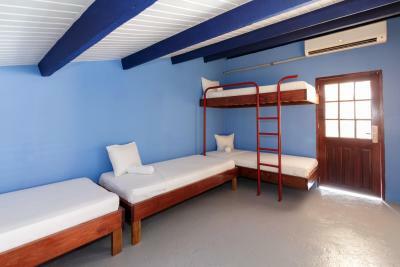 Lock in a great price for First Curacao Hostel – rated 8.7 by recent guests! Good location off the busy corridor but within a short walk of the downtown. Pleasant staff was consistently available. Common areas were clean. I was able to meet some pleasant people during my stay. All the common areas where you could hang out and meet new people! The rooms and pool area were nice. 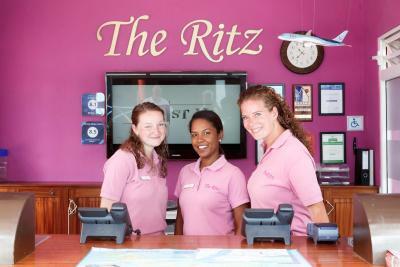 The owner and front desk staff were also very nice and helpful. The room and shower place are quite clean. Location is nice, very close to city centre. Nearby Punda, Renaissance shopping, City beach 88, good restaurants. Loved the Jacuzzi! Perfect for solo travelers. Very clean. Location was close to the “downtown”, maybe an 8min walk. 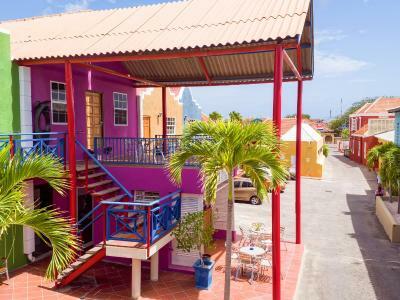 First Curacao Hostel This rating is a reflection of how the property compares to the industry standard when it comes to price, facilities and services available. It's based on a self-evaluation by the property. Use this rating to help choose your stay! One of our best sellers in Willemstad! 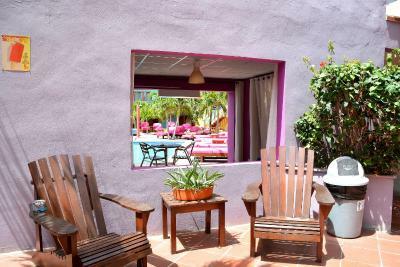 Located 2,300 feet from Curaçao Maritime Musem in Willemstad, First Hostel Curacao offers an outdoor pool and free WiFi. 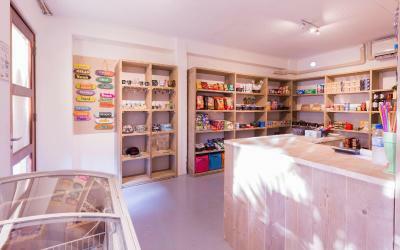 There is a restaurant, a café-bar and a small supermarket on site. 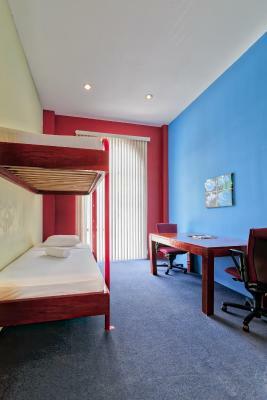 The dormitory rooms will provide you with air conditioning and a desk. Some of the rooms have private bathrooms. Towels and bed linen are provided. 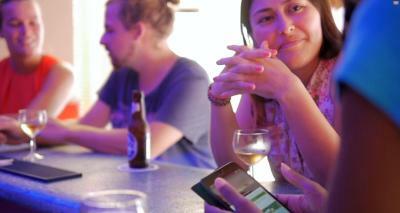 Guests at First Hostel Curacao can relax and socialize in the shared lounge or outside on the terrace. 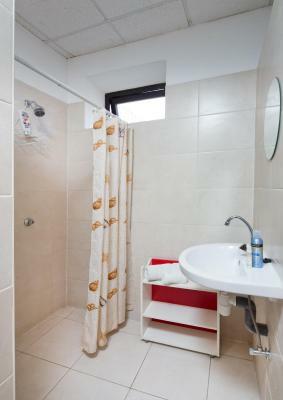 The property also offers a tour desk and laundry facilities. Mambo Beach is just a 10-minute drive from First Hostel Curacao. Hato International Airport is 5.6 mi away. 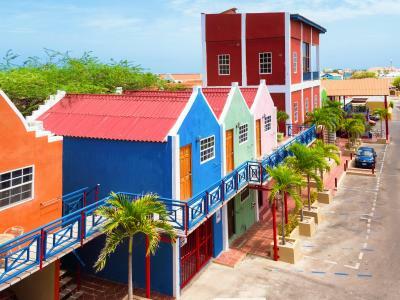 This property is also rated for the best value in Willemstad! Guests are getting more for their money when compared to other properties in this city. 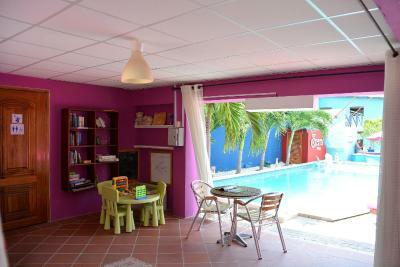 When would you like to stay at First Curacao Hostel? 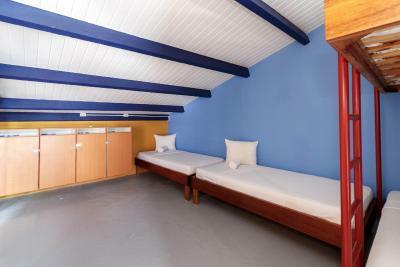 This mixed dormitory features 2 Single-sized bunk beds, individual lockers and a shared bathroom. It also includes air conditioning, a kitchenette, linens, and access to a patio. 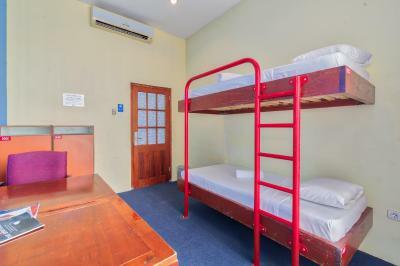 This mixed dormitory features 4 Single-sized bunk beds, individual lockers and a shared bathroom. It also includes air conditioning, a kitchenette, linens, and access to a patio. This female dormitory features 4 single-sized bunk beds, individual lockers and a shared bathroom. It also includes air conditioning, a fully equipped kitchenette, linen, and access to a patio. 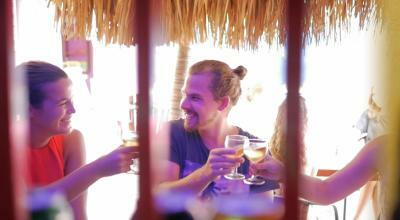 House Rules First Curacao Hostel takes special requests – add in the next step! 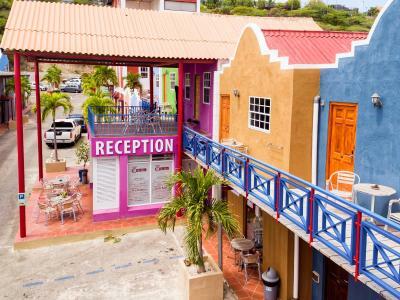 First Curacao Hostel accepts these cards and reserves the right to temporarily hold an amount prior to arrival. De scheve attitude van de Manager. The pool area was being renovated, so several days we had to endure loud drilling noises. The showers were unbelievably hot, you were scalded within a minute after turning it on, you had no way to make it cooler. Food and drinks at the poolside restaurant was a poor value aside from the karni stoba. I had to trot down to reception 8 times during my 2 week stay in order to have my key reset. The facilities look kinda old. The pool bar staff were rude, inhospitable, and short changed us on the regular while paying. Very poor service at pool bar and restaurant. Check-in experience was slow and torturous. The check-in is at 3pm when the sun is hitting one's body from the side - if wearing half/no sleeves tee-shirt and shorts, your arms and lower legs are burning. The reception staff is under cover but no cover for guests. And just my luck there was someone ahead of me checking-in which was slow going, so my arms and lower legs were roasting! Luckily the second receptionist (Ingrid) showed up and I was spared further torture! Booked a private room with single bed but I got a dorm room with a bunk bed - a bunk bed all to myself, whoopee! Hit my head twice on the upper bed trying to put sheets on the lower bed! I was not expecting that in my wildest imagination! Room was small, definitely not adequate for two. Lockers in the room cannot be locked - no hardware on the lockers to use padlocks. Apparently the staff is unaware of this! No day light into the room. A small window looks into the dimly lit corridor. Air conditioning unit is too powerful for the room size and no fan control on the remote - the cold air hits your face full blast. Hung a towel on the upper bunk to protect my face from the cold blast so I could sleep. Did not work. Slept with feet towards the head of the bed. Only one sink in the whole hostel section of the complex called "The Ritz Village". First night there, someone flooded Men's toilets/showers area, leaving a puddle over a wide area, which was still there in the morning till 11am or so - clearly no one monitoring the facilities at night! Mini-Mart grossly overpriced - 1.5 liter water bottle is 4fl compared to 2fl in the shops in town - 100% mark, outrageous! Similarly, foods and drinks at the cafe/restaurant were overpriced - and it is not your quality cafe with table cloths and cloth napkins! The pool area is their Guests Lounge! Isolated location - outside Punda's boundaries, where all the shops/bars/restaurants are. Didn't like anything - everything third rate. Nice hotel but located in an area that is very lonely at night. I think that is something that night roamers who will walk back from downtown need to keep in mind. Buses work until 9pm only and taxis are very expensive ($20 bucks for a three block ride) and also not very accesible. Restaurant very expensive compared to prices nearby. Car needed to get anywhere (the case for all of Curacao). Good location. Helpful staff. Nice pool. Dorm was a bit basic (but somewhat to be expected). Restaurant was very expensive compared to the prices of other places. Pool was nice, staff was helpful, location was central. I’ve never stayed at a hostel with less helpful staff. At points they were down right rude. The facilities are fine and clean but there is not much atmosphere and the staff seemed unhappy to be there and definitely had no interest in helping us.